To the joy of Phillip Phillips fans around the world, “Miles,” Phillip’s first single in three years, was finally released this past Friday, August 11. The release of the song, in itself a joyful event for anybody following his career, is particularly emotional as it represents the end of a long legal struggle that had prevented Phillip from putting out any new music and delayed this release for several months. It is truly momentous, making “Miles” a hugely special and significant single. The choice of “Miles” as the new single came as a big but extremely pleasant surprise for me, since it had been a personal favourite from the moment the song was casually debuted live during a show last summer. The song had become familiar to many fans this year as well as it had also made several appearances on the set list this summer before the announcement was made. This did not in any way detract from the excitement of the announcement, on the contrary, it added to it as “Miles” had already become a favourite not just for me but for many fans. I am so excited to have the connection with my fans again by releasing new music. "Miles," the first single, is about going through change, but not being alone while it’s happening. Just knowing that there is always light after dark. This has been a really interesting journey and I’ve learned a lot personally and professionally. This is a new time and I’m excited about taking everyone along. It’s good stuff! Listen at the link in bio. When singles are released, it usually works the other way around: we get to know a studio version of a song and then crave hearing how its energy will be translated live. With “Miles,” having listened to it numerous times live, the pleasure is in hearing all the creative decisions that went into the studio version — in addition to a proper recording. And what a recording it is, with an impeccable but not overdone production and gorgeous details throughout. The guitar work is delicate and subtle while the drums and bass feel wonderfully organic. Phillip’s voice as well sounds warm and unvarnished, showing a vulnerability we have not heard before. The lyrics are some of my favorites he has written, evoking a deep yearning for peace and release while still finding the strength to believe in a brighter future (“we are fire waiting for a spark”). In an official message from Phillip to accompany the release of song, he said that “Miles” “is about going through change, but not being alone while it’s happening. Just knowing that there is always light after dark.” It’s a bittersweet feeling that the song conveys beautifully — as do many of my favourite songs that Phillip has written. In a complete departure from the art design from his last album, Behind the Light, the single cover has Phillip facing us directly on a black and white photo, his guitar by his side. The image, as does the song, marks a new beginning, stripping any last hint of self-doubt or need to hide. The wait was long but oh, so worth it — we never had any doubt it would be. Follow the links to listen and to purchase “Miles,” it is available now! 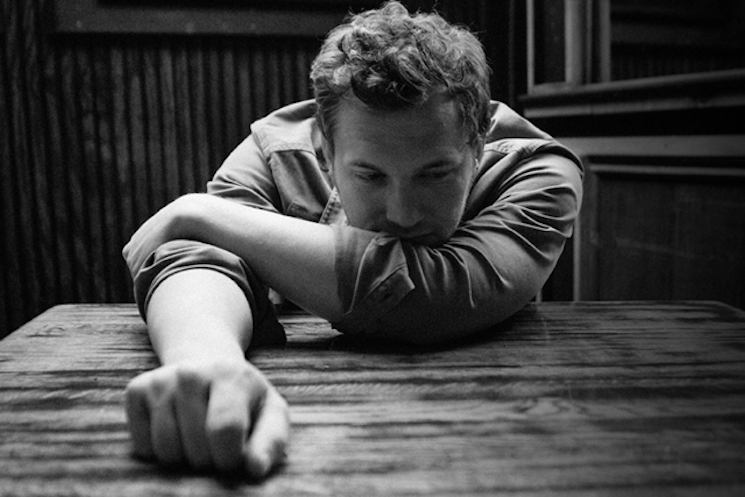 Featured photo and album cover photo: Phillip Phillips’ official site and Instagram.